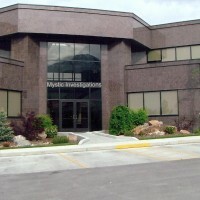 The executive staff of Mystic Investigations work hard all year running the office, conducting paranormal research projects, and battling the forces of supernatural evil in the field. So we look forward to our longest and most cherished of vacations every year. That being our surreal stay at the Santa Claus’s winter wonderland. During our tremendous time at Santa’s North Pole City amid the 2017 Christmas season, we were given the option to have an Elf man our supernatural post as it were. We happily took that option even though the Christmas season brings us the least paranormal cases. Still, we wanted someone with some level of paranormal power to be here just in case things got crazy. Fraggle The Elf was sent to us here in Woodland Springs, Colorado by Santa Claus who is a powerful Demi-Angel force for good on Earth I, Xavier Remington, made Fraggle temporary Mystic Investigations President with full authority to run the business as he saw fit. All our personnel are not fully aware of the wondrous world of the supernatural so we’ve only told them we’re going on a business trip up north. They believe Fraggle is my vertically challenged cousin. We’d never met Fraggle at the North Pole before because most of his work lies in the outside world. When we first met the little fella, who was barely 2′ 10″, we thought it would be best for him to change out of his tiny green Elf costume before meeting our non-executive employees who would not be traveling to the North Pole. Thankfully, Santa had the foresight to send an adorable little business suit with Fraggle. Otherwise, we would have had to take him to a tailor, or a toddler store. LOL! In addition, Santa gave him a glamouring spell to hide his pointy ears. However, at any point, he could appear in his Elf uniform with his ears, and simply claim it was a costume to celebrate Christmas…….I’ll try and complete this story before next Christmas. LOL! Ever since 2011 we’ve relished in taking a break from fighting paranormal evil by delving into the winter wonderland of the worlds Christmas Capitol. A place where your worries wash away and you feel like a kid again. To an extent the outside world fades away just as being at the North Pole does once you leave. I get the most serene sleep and have the most delightful dreams there! Once again we were nominated for the prestigious Claus Awards that honors those who risk their lives to help others in need. Nominees get to stay at Claus Manor with Santa, Mrs.Claus, and his two kids. We ultimately didn’t win the award but one simply cannot be disappointed to eat every meal at a table with the Claus family, Elves, winter nymphs, intelligent speaking penguins, and stuffed animals come to life! Not to mention you can eat everything in sight without any health or weight issues. I chugged 20 gallons of eggnog and ate a good 14 gallons of ice cream! Some of which was eaten with my little buddy Gerbert The Elf. He is, of course, the notorious Peppermint Ice Cream Bandit at the North Pole! The Super Blue Moon Eclipse transmuted to a rare Violet Moon which ended up turning anything unholy to ash if basking within the holy light. So our battles with Werewolves were minimal and those in direct moonlight died. 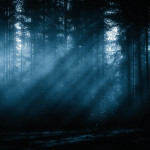 We went around town at dawn contacting known werewolves to see if it was they who perished. We at least brought closure to a few families who got the bad news. Our very own vampire Exec VP Drake Alexander nearly turned to ash as he spontaneously burst into unholy flames. Our resident witch Senior VP Rebecca Abernathy acted quickly to cast a shielding spell as we rushed him to safety! Luckily the Violet Moon amped up her own magical powers. Drake has fully recovered from his near death experience. Our own werewolf Seth Morgan was locked away safely in a cage at Mystic Investigations headquarters. This is the responsible thing for all werewolves to do on Full Moon nights! For their own well being and that of everyone else. Additional Story About A Battle With The Plague Doctor On Valentines Day! This years secret International Paranormal Investigators Conference was in Moscow, Russia. It’s a place for most of us in the real paranormal community to compare notes and devise strategies to defeat the forces of darkness in preparation for Armageddon. 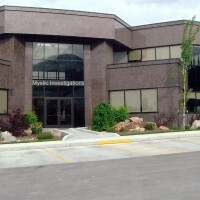 Many of us gave speeches and demonstrations on the latest supernatural sleuthing techniques while learning from others ourselves. There was a surprise visit by President Vladimir Putin. He’s well aware of the secret supernatural world and was deeply interested during the hour he spent at the conference. We spoke to him briefly but our vampire team member Drake Alexander had a more extensive private conversation with him. Apparently, they know each other from way back in the day. It’s also interesting to note Putin always travels with his personal Wizard Fyodor. Perhaps that is how he’s retained power for so long? While there we came across Slenderman in the Khimki Forest. He was actually sabotaging the controversial highway that cuts through the forest as it caused the loss of many trees. Slender loves hiding in the woods and feels most at home there. So naturally, he is for saving the environment. Probably the evil entities only redeeming quality next to his decent treatment of children despite kidnapping them for their unique metaphysical energy! If not for these despicable kidnappings we would have left him to it but we had to attempt capture. Capture rather than extermination as there are alternate dimensional forces who sentenced him here to live rather than be executed. These forces have strong anti-death protection on him! Either Slender Man was low on paranormal power or wasn’t in the mood to play because he kept evading us! Certainly, we caused harm to him before. Slender easily shapeshifted to hide behind trees and all manner of foliage. He had us running around the dark woods all night and into the morning like fools. Thankfully, we must have worn him out because we saw a flash of light indicating he teleported away. Our Psychic Julia Hathaway said he was long gone! 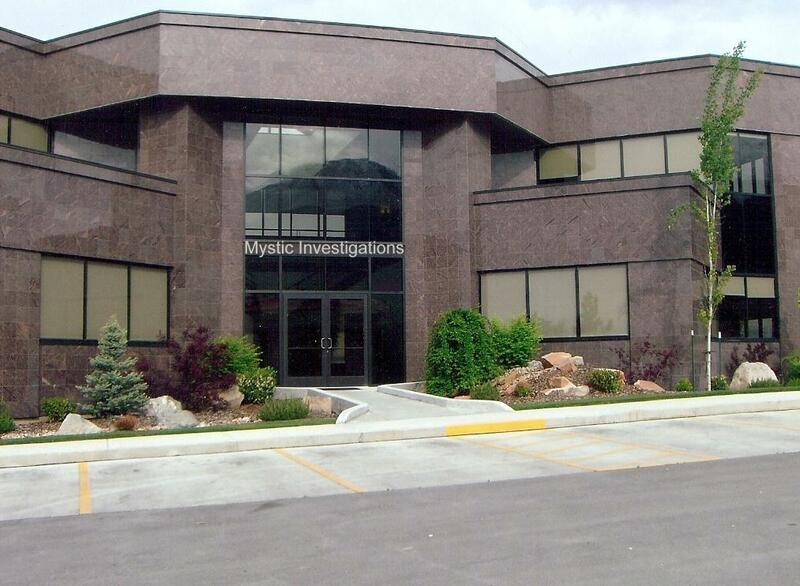 What Did Mystic Investigations Do On Easter April Fools Day? I’ve never had to fire anyone despite being the President of Mystic Investigations since 2008, and more or less having it come together piece by piece before that. We started out as a continuously growing paranormal investigative crime fighting organization of professional colleagues, family, and friends. As we’ve grown into a small corporation we’ve had to hire more employees outside of that personalized sphere. 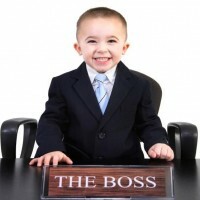 I always thought it would be a joy to do the good old Donald Trump, or even the Vince McMahon,”You’re Fired!” However I now dread the task of informing someone that their income will be terminated. Although there is one person I’ve always wanted to fire. Lars Larsson, Vice-President Rebecca Abernathy’s Swedish Secretary. Since she’s my girlfriend I don’t appreciate his blatant flirting with her! There’s something just not right about that guy. Certainly whatever minute positive opinion I had of him was totally destroyed after the incident at Fun Fridays Amusement Restaurant last year. Not to mention he’s way too over-qualified for his job, and it’s odd he’d leave his home in Sweden to work at a small town Colorado firm as an Administrative Assistant. Unfortunately I can’t fire him for no reason. Especially since Rebecca thinks he’s the best assistant ever, and our Psychic Julia Hathaway doesn’t sense he has some clandestine agenda. Regrettably the person I have to fire is a girl which makes matters worse. Despite being a twenty something adult she’s displayed a plethora of immature behavior that has caused some office disruptions. Immaturity that seems to be spreading to some of the other younger members of our staff. It’s virtually turning into junior high here with the silly passing of personal notes, paper airplanes flying about, offices supplies tossed everywhere, toilet paper thrown here, and there, petty arguments, and borderline bullying along with a multitude of other ridiculous idiocies. Then on top of that she actually attempts to flirt with me. Naturally Rebecca wanted her immediately fired. LOL! She even offered to do it but as President & CEO I must perform this task. Oddly enough the usually reserved Executive-Vice President Drake Alexander seemed almost uncharacteristically gleeful over the task, and wanted to be present. He has been a bit off lately since we engaged the Devil himself in The Third Battle Of Armageddon. Drake was the last person to make contact with the Emperor Of Hell before he inexplicably vanished from the Earth. The Prince Of Darkness hasn’t been seen nor sensed by top flight psychics since! Both Julia, and Rebecca say they’re not sensing anything unusual from him. Sandy quickly composed herself while laughing nervously. I got up, and held Drake’s shoulder bringing him back to the edge of my desk to sit down again. She then began clapping, and said,”Spectacular show boys! The special effect contact lenses, and dime store fangs totally rock! And that roar! Where did you hide the speakers. This place is a freaking joke. 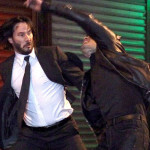 I’m out of this hell hole, and keep that freak away from me you crazy vampire fan boy!” I walked her out leaving Drake behind. I looked back at him, and he seemed pleased with himself. I’d never seen him blatantly display his supernatural nature for no real reason before. I told Sandy she could come to the front door tomorrow at 10 AM to retrieve her belongings. Her response was,”Screw it Remington! I didn’t have anything worth a crap anyway!” I answered,”Ah yes quite a joy having you work here. Have a wonderful life!” She then flipped me the bird. I should have been more insulted but it actually made me laugh as she hopped on her moped, and sped away. I guess I didn’t pay her enough to buy a car. I went to Drakes office where I found him drinking directly from a wine bottle which was actually his supply of blood. Usually he drinks it from an coffee mug. Before I could say a word he said,”Sorry about that little display Xavier. I’ve been feeling a little over-worked lately. If you don’t mind I’m going to go home now.” I responded,”I think that’s a good idea. 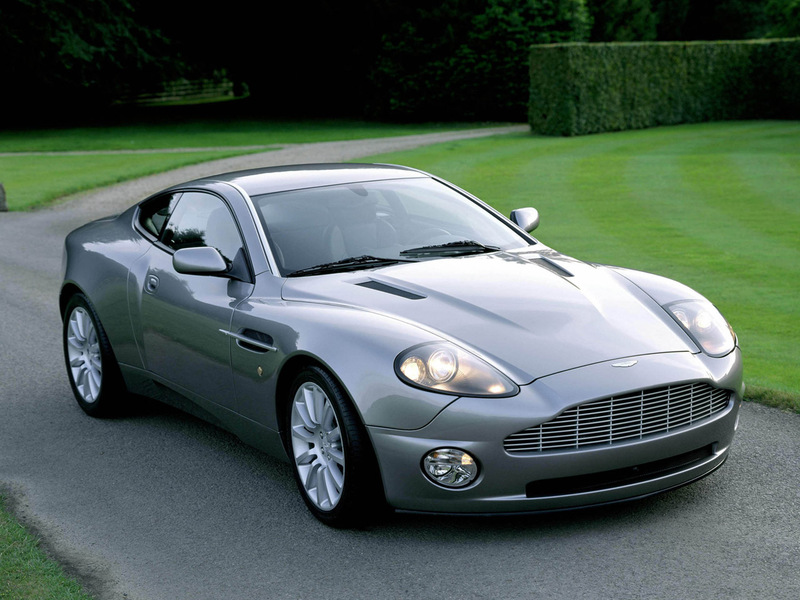 Have a good day.” He left through the underground garage in his Silver Aston Martin V12 Vanquish with special unholy glass windows to neutralize the holy rays of the sun. Light that burns most vampires to a crisp! The staff was divided about Sandy’s dismissal. Half missed her jovial antics while the rest welcomed the peace that now descended about the office. Our bionic boy wonder Zack Powers came into work with his new bionic girlfriend Summer Eden after school was out. He was disappointed to learn about Sandy being fired. Even as a teen he was far more mature than Miss Akerman, and held the position of Chief Technology Officer to prove it. As I walked out to the parking lot at 5:30 PM to return to Remington Manor Lars was walking in. 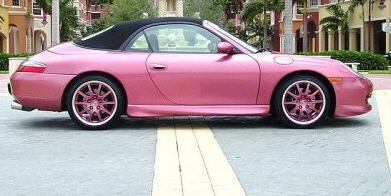 He had just finished detailing Rebecca’s Metallic Pink Porsche 911 Carrera Cabriolet. Lars smiled while patting my back a little too hard, and happily stated,”Hey next Rebecca will be wanting me to detail her! Huh pal?” I then slapped him in the back so hard he fell to the ground while I said,”Why you little piece of…” Rebecca came out of nowhere just then saying,”Oh you crazy boys always playing your roughhousing games! Come on Lars I have some files you need to deal with. Looks like we’ll be here until seven!” Lars hopped up, and ran into the office. Rebecca bid me a fond farewell, and I walked out to my Black Lamborghini Murcielago which was now splattered with some manner of smelly brown substance. I believe it was cow manure laden mud from the nearby farm. Thank you so much Miss Akerman! When Should I List A Programming Language On My Resume? The generous administrative assistants and wonderful supernatural support staff here at Mystic Investigations threw the executive’s a surprise Boss’s Banquet in honor of Boss’s Day. We donate a small amount of every case we solve to a General Employee Cash Fund. It’s a cash safe in our place that the employees can collectively vote to use for anything they like within our facility without coming to us bosses for permission. It comes in handy when they want to throw a surprise party but sometimes they’ll buy something frivolous like that Pac-Man arcade game console in the employee lounge. Although I guess I’ve played the thing just as much as anyone else. At Noon we all expected to go to the cafeteria as usual, and instead, we were greeted by all our employees leading us up to our rooftop garden to enjoy a lavish lunch amid the warm windy sun surrounded by fall foliage. This was an issue for our Executive-Vice President Drake Alexander since he’s a vampire who bursts into flames if he stays in the holy Sun too long. Unfortunately, not everyone on staff knows this nor believes it when they hear it. Interestingly some people who work here haven’t a clue they’re at ground zero in the world of the supernatural, and they explain away every enchanted event they may see. This is quite common for the average person who can’t deal with the heart-stopping fear of paranormal perplexities even at the sub-conscious level. The dashing 740 something Scotsman Drake didn’t want to let the enamored employees down. Especially the ladies who constantly fawn over him. So he dipped into his emergency reserve of Gnomes Blood. It’s difficult to come by but it’s one of the few things that will allow a vampire to exist in the sun for at least a few hours. Since Gnomes are creatures of darkness it’s unknown why their blood grants vampires access to the daylight. There was some minor paranormal activity during our Boss’s Day celebration. As a kaleidoscopic flood of fall foliage fluttered around us majestically an Autumn Nymph, aka low-level Earth-based seasonal nature deity, materialized from the Paradise Plane to join us for lunch. Or more exactly to join Drake who was only sparsely eating bits of food by dousing it with blood from his trusty pocket flask. It’s one of the few ways a vampire can consume real food. Some people thought it was ketchup or barbecue sauce! The crimson-haired beauty, dressed in nothing but fall frondescence of all colors, was named Magenta. She was replacing another Nymph as the Curator Of Autumn in this particular localized area. As Magenta partook of food, and drink her tanned skin slightly shimmered in the sunlight. Thankfully not to a Twilight vamp degree! She had briefly introduced herself to our resident Demi-Mermaid Witch Rebecca Abernathy but Magenta only had eyes from Drake. Oddly enough a fair number of supernatural beings on the good side of the spectrum are attracted to vampires even when they’re evil. In this case, of course, Drake fights on the side of righteousness in a world teeming with denizens of darkness! After the two-hour fall feast with a spectacular roof view of the colorful countryside, it was time to get back to the supernatural investigations crime-fighting game! Magenta and Drake mysteriously disappeared for about thirty minutes. Drake finally appeared again and said Magenta had left. As he walked past us we noticed a red maple leaf stuck in his wavy raven hair. 🙂 Rebecca came into my office, and said Magenta had bid her farewell while informing us we had a ghost living in our offices! There surely wasn’t one sign of a ghost which is unusual. It’s even more unusual that the supernatural members of our team didn’t feel it’s presence. I called upon our Ghost Hunter Rob Edmunds & Psychic Julia Hathaway to deal with the issue. We discovered that the ghost was, in fact, the ghost of a newborn baby! After focusing on the tiny ghost Julia got a psychic vision of the baby girl being born and abandoned by its young mother who was shamed into hiding her pregnancy. Apparently, she had planned to anonymously leave a message with someone to get the child but the Mother was kidnapped by malevolent mountain men. After that, she was never to be seen again! Unfortunately, it was irrelevant since the baby died of birth complications almost immediately. It seems the baby girl ghost had been lying in the woods for well over 150 years, and then in our facility once it was built on that spot. 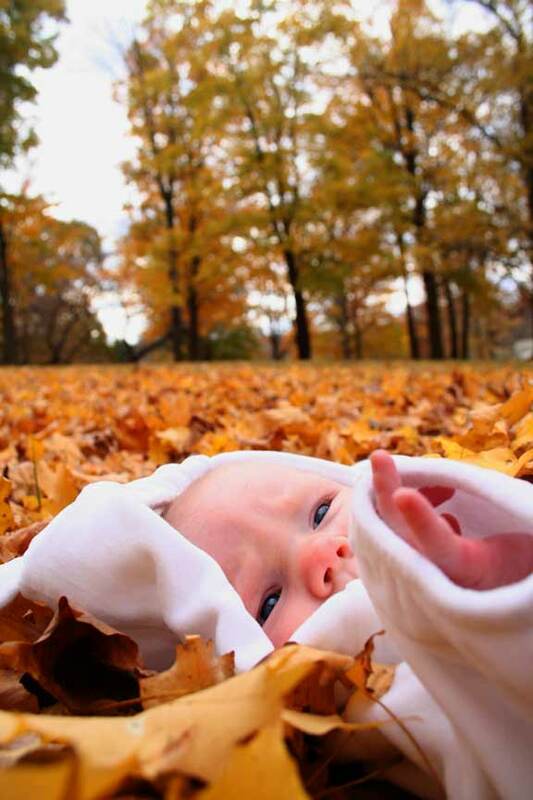 Generally, a baby will go straight to Heaven when it dies. Although the usual weakness of a baby’s metaphysical-astral body coupled with the spot being a mystical Native American ritual site somehow trapped, and cloaked the ghostly child. Julia indicated the baby was in some manner of happy perpetual womb dream unaware of the outside environment. 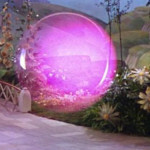 With the help of an ancient talisman, Rebecca cast a spell to briefly materialize the metaphysical baby into a physical form made of solidified photons. In essence a child of pure light. Julia used her mental powers to allow the baby to perceive biological physical sensations as they brought her out into the sunlight to finally experience the real world. Some of us took turns holding the miracle baby until Julia, and Rebecca saw a white light appear. Julia carried the baby into it, and she had tears of happiness in her eyes. Rebecca became emotional as well while witnessing an extremely enchanted event! For both of them saw an Angel take possession of the child. An Angel who was its Mother! They say there is no supernatural sight more breathtaking than that of an Angel. And of course the indescribable, and unique joy of a Mother being reunited with her child after well over a century! 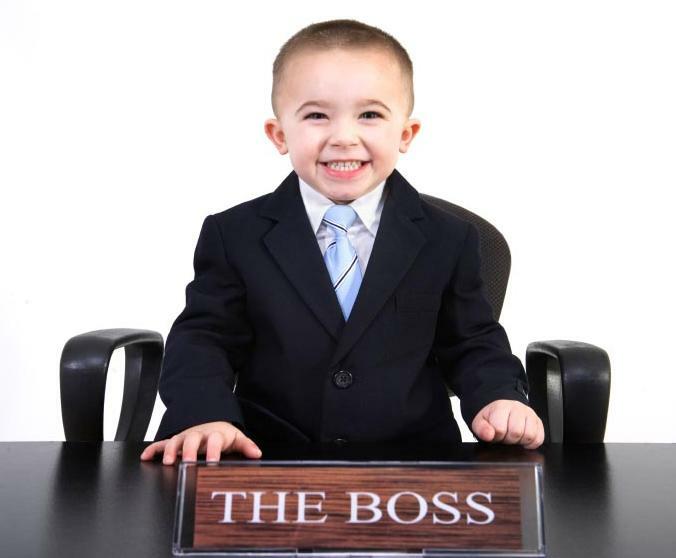 Happy Boss’s Day To All And To All A Productive 9 To 5! Dress As An Autumn Nymph Or Fall Fairy Goddess For Halloween Along With Any Costumed Occasion.